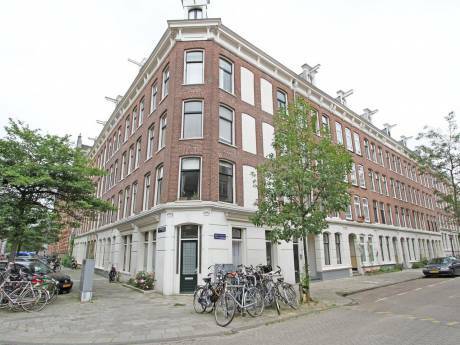 In the heart of Amsterdam located at Herengracht 224, this 17th century canal house has been split into 2 apartments. Ours is the comfortable spacious upper 3 storied apartment (approx. 180 m2) . The house consists of a front and a back house with a patio in the middle that lets in plenty of light on all the floors. Following the entrance corridor there is a straight staircase leading to the apartment upstairs. The first level of the apartment has a large spacious living room in the front house and a kitchen in the back house. On the 2nd level there is a large master bedroom in the front house with a modern bathroom and a study in the back house. One can spend many hours gazing at the canals, looking at the fabulous Dutch skies and the shimmering reflection of the Dutch golden era. On the third floor there is additional master bedroom with an original late 19th century art deco sky light that allows one to enjoy the moonlit nights. There is also a large modern bathroom equipped with a bath tub and a private quiet roof terrace overlooking rooftops of other historical houses. 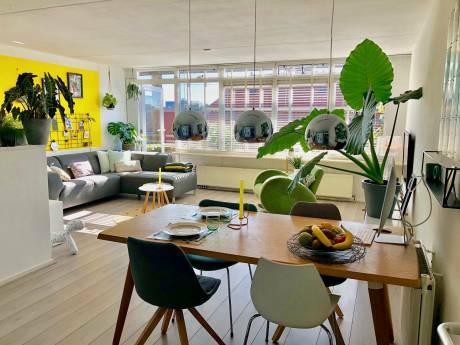 Although the apartment is located in the midst of the old centre and is just a few blocks away from vibrant areas like the ‘Dam’ square and the trendy ‘Negen Straatjes’ (nine streets), it is still very quiet and a great place to relax after an exciting day in the city! 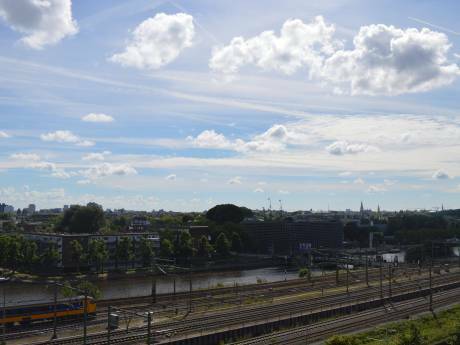 All the museums and Vondel park are within a 5-20 min walk and it is also a 10 min walk to the ferry that can take you to Amsterdam North and the heart of the Dutch polder landscape. For indoor work out seekers there is also a gym located 5 minutes away that permits short term membership.